This year’s Annual Meetings of the World Bank Group (WBG) and the International Monetary Fund (IMF), has ended today in Washington, D.C., with the economic performance of African countries once again topping the agenda. 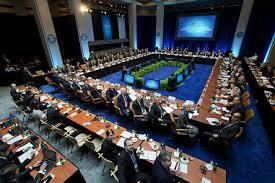 The Annual Meetings bring together central bankers, ministers of finance and development, private sector executives and academics to discuss issues of global concern – including the world economic outlook, poverty eradication, economic development, and aid effectiveness. But what did African Finance Ministers attending the meetings in Washington make of the overall assessment and perception of African economies? Four African Finance Ministers gave a Press Conference yesterday – 12 October, chaired by Ismaila Dieng, representing the IMF Communications Department, they were; Daniel Kablan Duncan – Prime Minister and Minister of Economy and Finance of Côte d’Ivoire, Luc Oyoubi – Minister of Economy, Employment and Sustainable Development of Gabon, Armando Manuel – Minister of Finance of Angola, and also Amara M. Konneh – Minister of Finance of Liberia. I would like to first talk about Africa. We have been able to note that Africa for the time being is resilient, with growth rates of close to 5 percent, and this growth can be explained by the efforts carried out in Africa these recent years especially through structural reforms. Nonetheless, these reforms are required to be strengthened because this 5 percent cannot allow us to eradicate poverty in a significant manner; so African countries will continue in this struggle with structural reforms, and to invest particularly in infrastructure. We are pleased to learn through the Development Bank that Africa will be initiating activities in 2014, and we hope that this will help Africa to boost its infrastructure capacity. With regard to my own country – Gabon – and I am the Minister for Economy, Employment and Sustainable Development, let me say that Gabon has set the target to be an emerging economy by 2015. In order to attain this objective, Gabon intends to follow a growth path that is inclusive and broad. Many efforts will be required in addition to many sacrifices, obviously. Concerning the macroeconomic situation, it is stable currently. 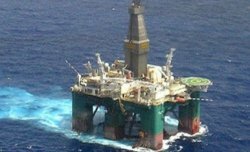 Gabon being an oil exporter, when oil prices are strong, the macroeconomic situation is also good. So our growth right now is at 6 percent, inflation is less than 2 percent, and our indebtedness is 16 percent. We have an excellent coverage of our currency – about 90 percent – and our trade balance is always in surplus. So, in the short term, things are looking good. However, we do not base ourselves on illusions. Oil will not last forever, and oil prices could change at any time. For this reason, we have implemented an ambitious program which is the Emerging Gabon Strategic Plan. It is an audacious plan that will help us reach our status as an emerging economy. There are a number of elements and different channels. We want to reinforce, as I mentioned a moment ago, our infrastructure. We will also be strengthening human capital and governance in addition. We will protect our government in order to be able to have green and inclusive growth. With regard to infrastructure, the President has decided insofar as possible to put approximately 40 percent of our own budget resources to devote them to investment. And these investments, obviously, should include many aspects of infrastructure. With regard to human capital, we have noted the weaknesses of our education system. There was a lot of waste in education. Professional education was not up to par. There are some requirements in the scientific area. So our education system needs to be reformed in order to meet the requirements of our economy and the requirements and demands of our society. For all of this, obviously, we also need to enhance governance, in particular financial, and that is why, in 2010, the government proposed to the Parliament to enact a new law that will have a program budget implemented and give a lot more power to Parliament and the General Audit. The government right now will be providing far more information than in the past to these two institutions, and this will obviously result in greater transparency. A few years back, we also created a National Commission for Illegal Recording, and all citizens may file complaints before this Commission should they note any problems in their day-to-day activities and life. In addition, we created a structure to combat illegal transfers. This is a national financial investigation entity. It is part of the GABAT [phonetic], which is the group for money laundering in Central Africa that wants to become part of all the other entities that are focusing on eliminating money laundering. We have all the other entities for audit and government controls, etc. As I was saying, our goal is to achieve emergence through growth and inclusive development, and in this area, we have done many things. There are 13 new national parks covering 11 percent of the national territory, and including all the other parks, that means that we have 21 percent of our territory that has protected areas. When our President was elected, he decided to forbid the exploitation of wood, and this is going to take some time, obviously, to fully implement, but it is going to result in positive effects in the future, especially by having value added. And we don’t want to see any exports of these. Before, it used to add a tremendous amount to the state balance sheet. The head of state also decided to forbid the burning of gases because of the pollution that this results in. A number of measures were taken in order to follow this path of green growth. So that is a summary of what we are doing in Gabon in our current situation. As you all know, Liberia endured years of conflict which damaged our infrastructure and institutions, and that led to one of the largest collapses in growth economies. Our economy collapsed entirely. That conflict ended about 10 years ago with the first democratic elections that ushered in the first female President in Africa. The Liberian conflict left behind a legacy of under-investment and destruction. This is why, since the cessation of conflict, we have concentrated on nation building, reconciliation and development. First, our government, behind the leadership of President Ellen Johnson Sirleaf, focused on post-conflict reconstruction and rehabilitation of the former fighters. We put together a strategy to address the debt overhang and poverty. We also made a conscious effort to re-engage with the international community and ensure our qualification for HIPC assistance. This required the country to register a track record of sound economic policies, which it did through the IMF Staff-Monitored Program, leading on to a PRGF and subsequently an ECF arrangement with the IMF. We rebuilt the basis of our economy and successfully reached the HIPC Completion Point with support of all of our development partners. We also focused on building institutions, because we realized that strong institutions are a necessary anchor for growth and development. Where government functions most reliably to deliver services to its people, business can operate most securely. We established the Anti-Corruption Commission, strengthened the Central Bank, strengthened the General Auditing Commission, and improved our tax collection, among other reforms in economic management. Due to these efforts, Liberia has grown at an annual average of around 7.5 percent since the end of conflict, reflecting the peace dividend. But despite this rapid growth, we recognize that the main drawback from this rapid growth is the limited number of jobs that are being created as the expansion of the economy has been driven mainly by the enclave sector. These are the same drivers that turned the engines of growth in Liberia before the war, with very narrow spillover effects over the reset of the economy. So we are precisely where we were before our civil conflict. So, while economic growth in Liberia remains on solid footing, our projections for 2013 imply that real GDP growth is going to be around 8.1 percent compared to 8.3 percent last year. This higher-than-anticipated growth is mainly due to strong performance in our mining sector. At the same time, the non-resource real GDP growth, including construction in particular, since we are rebuilding our country, has accelerated over the years, reflecting the pick-up in public investment by the government as well as robust private sector activity. So, in December 2012, Liberia launched the Agenda for Transformation, the second poverty reduction strategy, which we are now implementing. This Agenda intends to remove key infrastructure constraints, particularly in energy, in roads and ports, and to support youth capacity development in agriculture. Today in Africa, Liberia has the highest energy tariff at 54 cents per kilowatt hour. This is constraining private sector development and making it impossible to achieve our goal of inclusive growth for our people. That is why we have taken the painful political step to cut waste in our national budget and move the savings toward infrastructure development, particularly the hydro which was destroyed during the war. So the government has secured finance to rehabilitate our hydroelectric plant, which could come on line at the end of 2015, and we have addressed our country’s substantial energy shortage. We have prepared a Medium-Term Expenditure Framework in a context of economic governance to ensure that we can meet our responsibilities to these projects to our partners and our citizens. But substantial challenges remain, and other reforms in the public sector, particularly around the civil service, will require strong action on our side. Going forward for Liberia, really, the mining sector is expected to be an important source of strong growth, but expanding the non-mining sector, particularly agriculture, will be crucial to achieve broad-based and inclusive growth to help reduce poverty. Natural resources continue to play an important role in our economy. Iron ore, timber, and rubber dominate our exports. Oil, when we finally discover it, is going to be crucial and will offer much potential. So the management of these natural resources becomes crucial for the government, and land access is going to be key. We need to work on our land reforms. Investment in power and transportation, we believe, should foster the linkages between Liberia’s private sector and our natural resource sector. We expect that through this investment over the next six years, we should be able to put 100,000 of our citizens to work, gradually, and this should begin to address our unemployment issue. But it will take time to come on line. We just have to keep working to get us to a steady state for that to happen. On Africa, I would like to say that developments in the global economy remain critical for Africa’s growth. In this regard, we are concerned that the increased downside risks to the global economy, as we just heard from the IMF Board, will impact negatively on Africa’s trade flows and financing opportunities. We are also worried about the uncertainty regarding the unwinding of unconventional monetary policies and the threat of potentially devastating budgetary challenges in the United States which, if left unaddressed, could derail the fragile recovery we experienced last year across the world. Africa remains at risk from negative movements in commodity prices, and a slowdown in world growth could increase the danger of this. However, as I have highlighted, the key concern for Liberia and for Africa as a whole is tackling our significant infrastructure deficit. We must ensure that large-scale transformational infrastructure projects are aggressively pursued. These projects, if implemented, will unleash Africa’s growth potential, create jobs for our citizens, and reduce poverty. This is how we believe we can achieve inclusive growth. It is worth repeating here that the ability to travel from one side of our country to another side, and from one country to another, is almost at this stage a fundamental right; that the ability to travel between countries is necessary for trade, for business, and for sharing of knowledge and innovation; and that the access to power and water is crucial for good health, for stability and for inclusive growth. So natural resources – and our development partners have helped us to understand this better, will be crucial in Africa’s future, because we are well-endowed. So focusing now on managing them properly, in the best interests of our people, should be the priority of governments. I need to refer to the long period of time that Angola was in a military conflict. It was difficult to obtain our peace. We had a GDP of about $6 billion, and 10 years later, this became approximately $120 billion. I would like to refer to one of the countries with the largest growth in the Region, but nonetheless there are current circumstances in the global economy that mean that we can still retain our positive growth rates. I would also like to refer to the fact that this is a country where there is a significant weight of our informal economy, which is one characteristic trait for other African countries as well, and in 2002, our inflation rate was above 4,000 percent. In 2012, we were able to bring it down to a single-digit inflation rate. This means that we have achieved a certain level of stability in the macroeconomic policies, stability as to our foreign exchange as well, and a continuing process for accumulating international liquid reserves, especially deriving from the oil sector, that today carries significant weight in our GDP, much more so than in past years. And there is also a diversification of non-oil commodities and products. Given the events in 2008-2009 when Angola was still a strongly exporting country with an important weight for the oil sector which was about 40 to 50 percent, and approximately 70 to 80 percent of public revenues and close to 90 percent of exports, the international financial crisis then allowed us to learn a number of lessons. Some of them resulted in adopting economic policies in order to generate and create buffers to protect the vulnerability of the economy given the variations in oil prices. I would like to refer here also to the adoption of a prudent fiscal policy taking a conservative price per barrel so that differences of oil prices on the international market could result in savings that could be used for future generations, and also provide a mechanism to give some stability to the countercyclical impacts on public spending. So we established the Angolan Sovereign Fund which, under its many diverse mandates, has to also ensure that there are savings for future generations and encourage the diversification of the economy and also to be able to provide instruments for greater stability in the country, as I mentioned a moment ago. And you are probably well aware that in the period 2002-2012, Angola, in terms of its external position, attempted to eliminate its liabilities before the Club of Paris and tried to leverage its economy and establish bilateral relations. In this way, it was able to raise resources in order to implement its National Reconstruction Plan. This Plan ended in 2012, and according to recent lessons, we have developed a new program which we are calling the New Development Program for the five-year period 2013-2017. Among the many objectives of this National Development Plan, we are attempting to ensure the continuity and the creation of basic needed infrastructure to improve the business environment, to create indicators that will attract private investment. Here, we are talking about infrastructure for the energy sector and to increase the energy supply in the order of 10,000 gigawatts of power through the building of hydroelectric dams. We are talking also about logistics platforms, interagency platforms, in order to integrate the country, its ports, its highways, its railway. And the National Development Plan also wants to respond to these needs for regional integration of Angola in the context of this organization. Another important aspect of the National Development Plan is the National Training Plan for Senior Management. There is a new strategy in place because Angola has understood that the wealth of a country cannot be measured only in its natural resources, but it also has to be in its human capital. And this is a current challenge that the country is taking on, to form the skilled workers to achieve the objectives of economic development. Let me also mention here that among other actions implemented by the government, there is an ambitious program to combat poverty that today would show that a third of our population is already achieving significant improvements. This program won’t simply provide financial means or economic means to the poor, but will give them the means to earn their own living. This is improving the economy because it stimulates the economic activity for small enterprises. In the fiscal area, we have tax reform underway, and the goal is to smooth the tax burden in order to attract investment and also to formalize the economy by bringing into the formal economy those agents that are in the informal segment. There is a Private Investment Law that is being enacted, this is is aiming to attract private investment into the country. In general terms, these are the most outstanding aspects of what the Angolan economy is carrying out right now. On the international stage, we are working to increase openness. We have spoken with President Jim Kim regarding poverty reduction and our commitment to ensure that by 2030, the rate of poverty is only 3 percent of the population. When it comes to shared prosperity, we note that the lowest revenue has risen. Additionally, we note that there has been a struggle when it comes to the issue of gender in our countries in general. We have taken many decisions when it comes to improving governance, and we are doing our utmost to improve the situation among lowest-income countries. Côte d’Ivoire has approximately 3 million inhabitants. 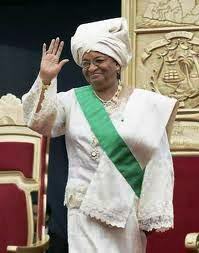 We have always played an important role in West Africa. Prior to the crisis, which lasted from 2000-2010, we are a stable country, and we are very important in West Africa. Following the elections, President Alassane Ouattara was elected to his post. He had previously been Governor of the Central Bank and worked with the IMF. In 2020, we aim to be an emerging country. It is with this major goal that we are focusing our government’s efforts to ensure strong growth and eradicate poverty by 50 percent by the year 2015. To that end, the government is working arduously. We have many efforts aimed at ensuring peace and security in Côte d’Ivoire, achieving national reconciliation and reconstruction and economic progress. Regarding peace and security, much has already been done. The situation has greatly improved, and insecurity following the crisis has fallen to 1.4, which is explained by the return of the African Development Bank and efforts put forth by UNESCO and major multilaterals which have also worked with Cote d’Ivoire. Regarding the economy, there has also been enormous progress. Cote d’Ivoire in 2012 had a 9.8 percent growth rate, meaning that we are nearly at double-digit growth. 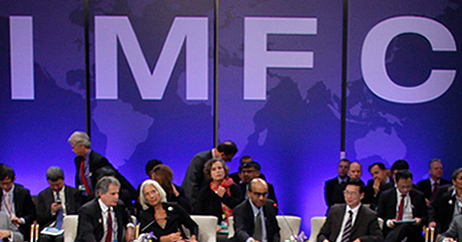 And this year, we received an IMF mission in September, and our growth rate has been 8.7 percent. Next year, we will have an 8.2 percent growth rate. We have a demographic growth rate of 3.2 percent, and our demographics have swiftly improved the lives of the Ivorian people. We have three major groups. We work with four major countries; Sierra Leone, Guinea, and Liberia. We also work with eight other countries, with the CFA franc zone, and we share a common tariff policy. Within ECOWAS, we work with 15 other countries with nearly 300 million inhabitants, and we have an arrangement where any company in one of those countries is able to export to other member states. So we have a shared export zone as if we were one country. Cote d’Ivoire has also made great strides in the business environment. We have invested in Cote d’Ivoire in the Cote d’Ivoire Business Forum, which will be in February 2014. We expect that there will be about 2,500 representatives from around the world in Abidjan who will come, and they will learn more about opportunity in Cote d’Ivoire. Agriculture is still fundamental for Cote d’Ivoire. 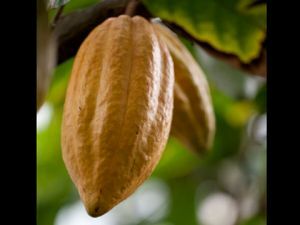 We are the number one producer of cacao. We are also the largest African producer of banana and other fruits. We have worked to industrialize the production of these products to achieve added value. We are also working to improve efficiency. Cote d’Ivoire has oil reserves, and our goal is to ensure that we are an oil producer for the sub-region. We are working with Ghana, Togo and Benin, Burkina Faso and Mali. They asked us to provide electricity in Western Africa, so we did so, with Liberia and Sierra Leone. This boosted our capacity enormously. In the mining and oil sector, the second-largest in our country, we have enormous investment potential, and certainly the private sector is up to the task. I would also like to speak about services, for example, ports and airports. The port and airport in Abidjan serve many people in the West African Region. Cote d’Ivoire is now a high-quality tourist destination, particularly with one of the most beautiful basilicas in the world. Cote d’Ivoire, as I have already stated, is a country that is leaving behind a period of crisis, and we play a major international role. We are working to improve the conditions of all of West Africa.